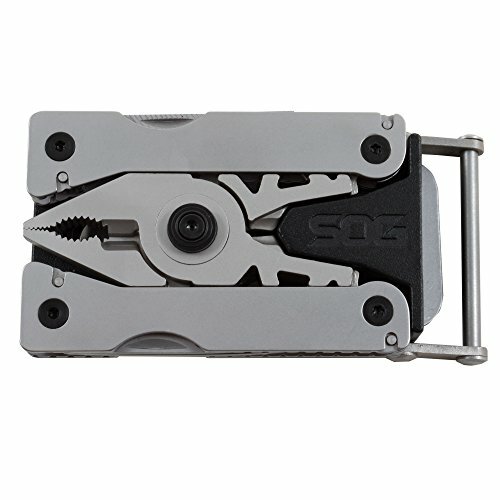 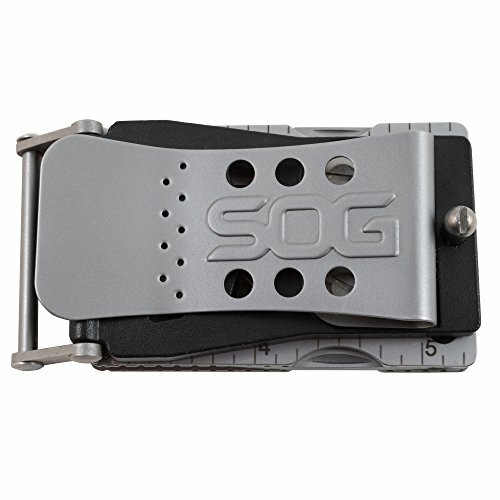 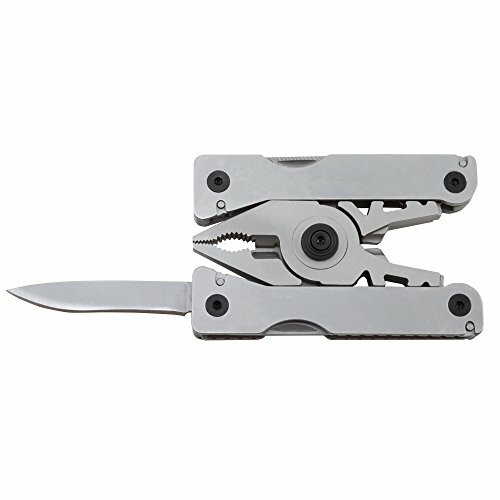 SOG Sync II Belt Buckle Multi Tool - Moar Stuff - You don't need it but you know you want it. 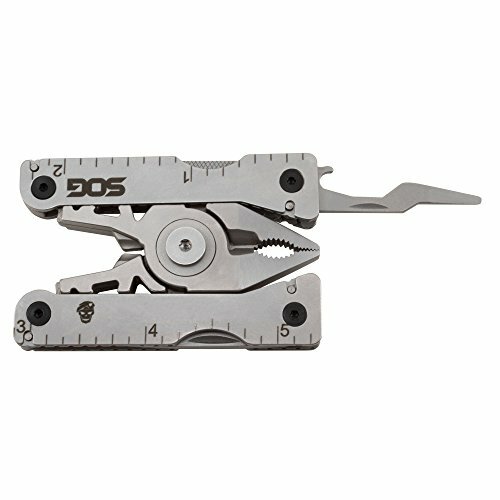 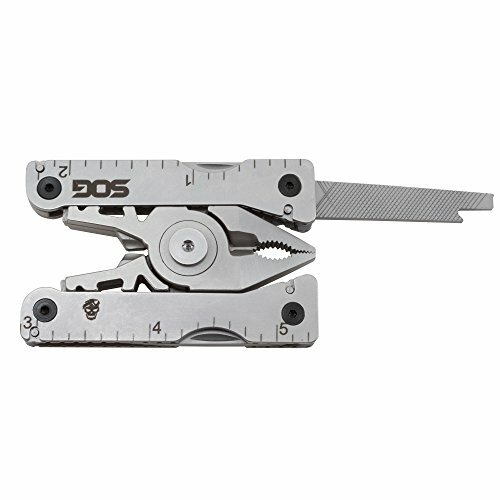 The SOG Sync II Belt Buckle Multi Tool is a multi tool designed to easily be worn with the detachable base as a belt buckle or simply clipped on a pack strap or boot. 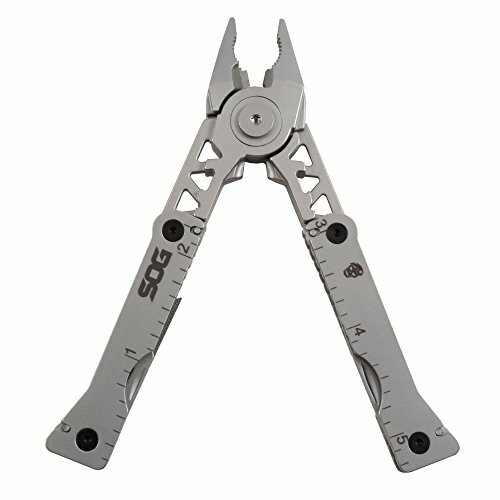 That way, anywhere you go, so long as you remembered to wear your pants, your multi-tool is there with you. 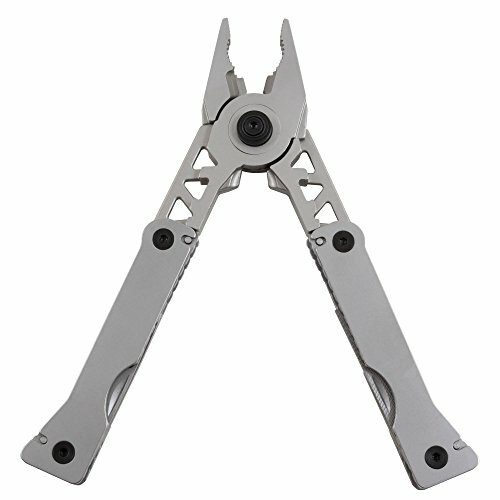 The tool can be quickly and conveniently detached from the base with one hand for ease of use. 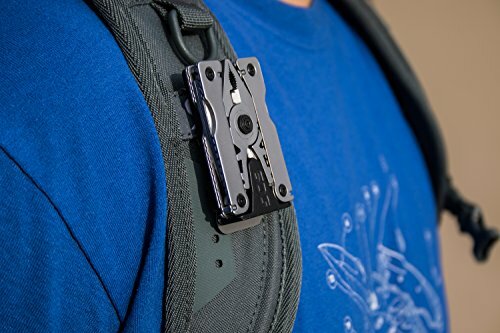 Yet, it stays locked and secure when not needed so you don’t have to worry about losing it. 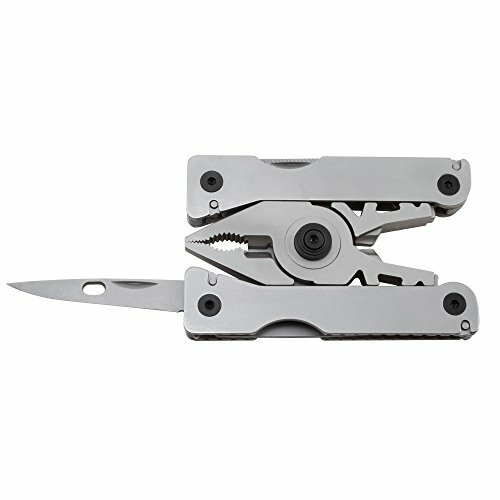 Basically, if the Sync II doesn’t have it, you don’t need it. 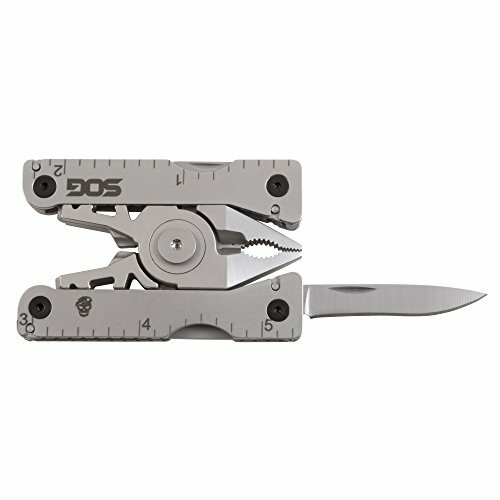 It would make a great gift for your Dad. 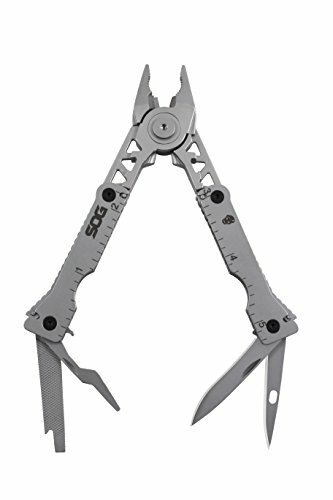 He would really appreciate it… hint… hint. 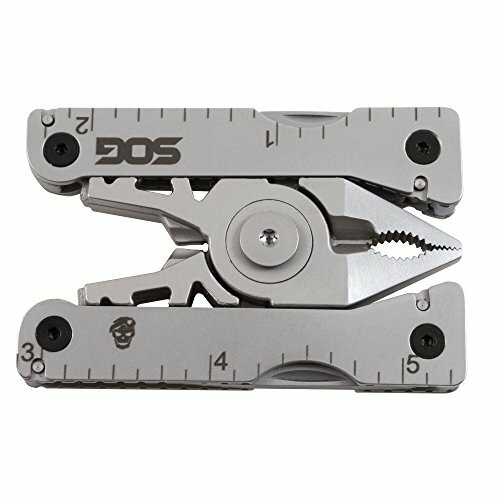 Dimensions: 2 x 5.8 x 0.5 inches. 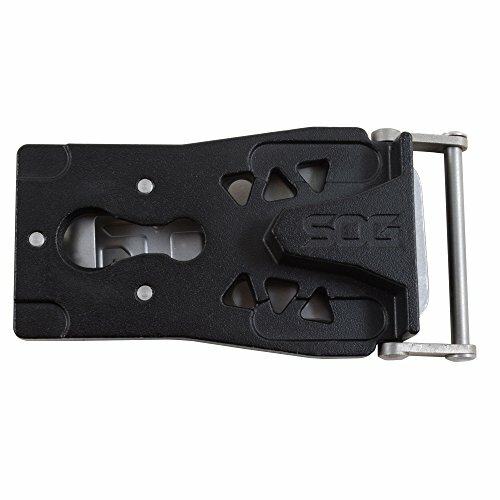 Fits belts up to 1-3/8″ wide.